This little girl has got it bad! You know, when you find something you love and you go forth with it 110%. She’s gotten bit by the gymnastic bug a few years ago but now its all starting to come together. She has been working hard on her press handstands and regular handstands because she wants to make the TOPs practice team come next June along with the level 3 team. Watching her sister and the other big girls in the gym is really pushing her determination. She may be tiny but she’s got Pee-Wee power and she’s ready for her chance to shine. Six weeks down, 20 more weeks to go! 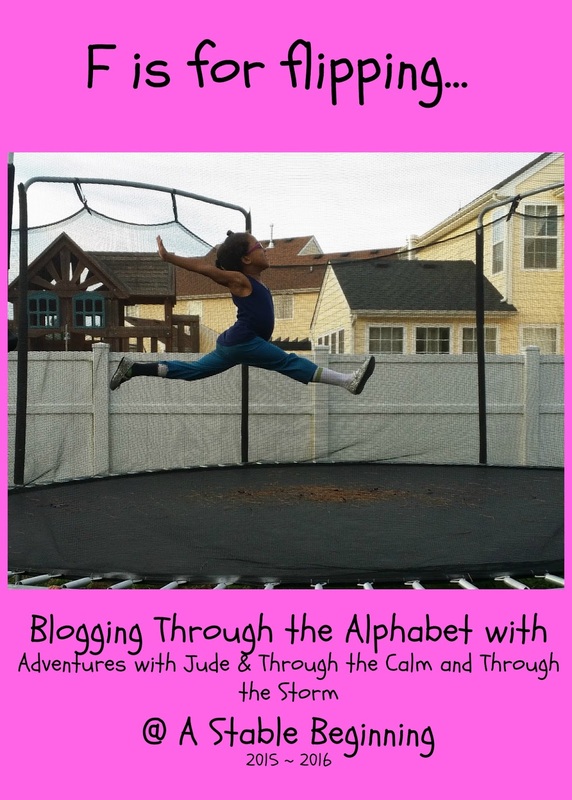 This is the end of week 6 of Blogging Through the Alphabet with Meg @ Adventures with Jude and Cristi @ Through the Calm and Through the Storm. 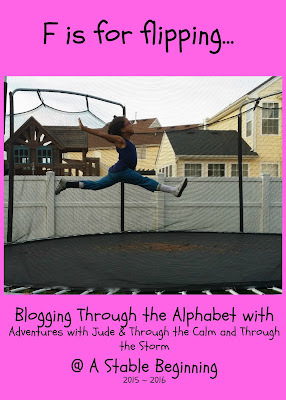 Be sure to check out the posts from this week and see how creative everyone is as we make our way from A to Z. Missed a post? Catch up with the links below.